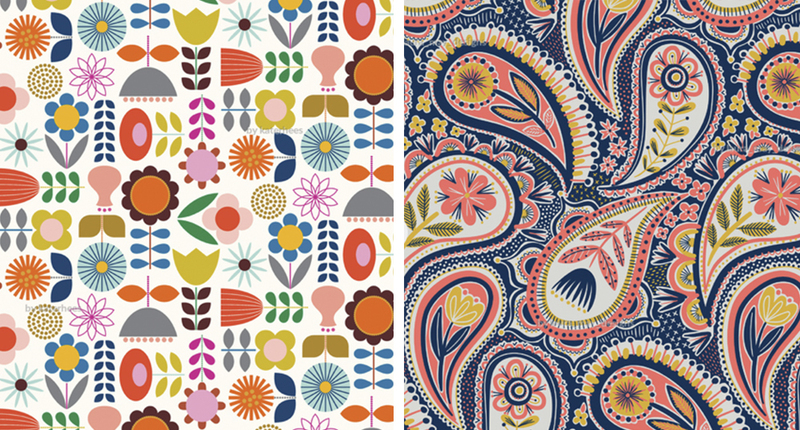 Have you ever wondered how you can improve your surface pattern designs? Perhaps you would like the composition to be stronger and more dynamic or the colors to harmonize and be more balanced. 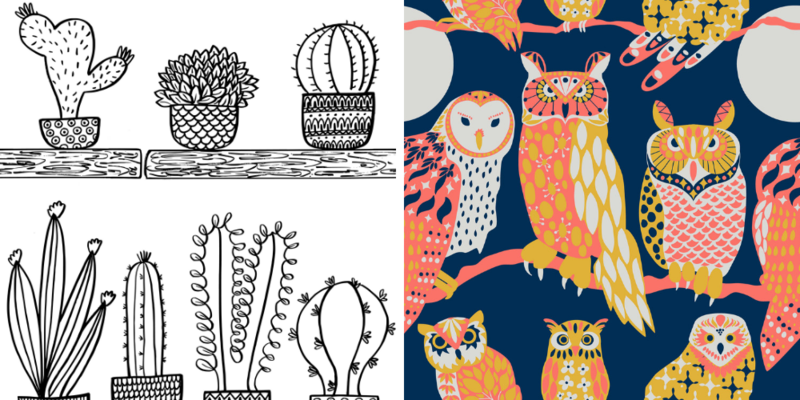 Jeanetta Gonzales is back on the blog (did you catch her first two articles all about designing on Spoonflower?) 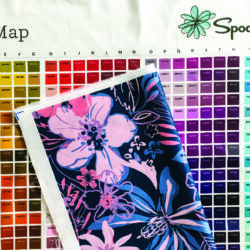 to guide you with some helpful tips and examples from the Marketplace that you can use to make your best patterns ever! What is the theme of my design? The theme is the overall subject for the design. For example, it could be an underwater theme, a holiday design, a spring floral or a nautical design. What motifs can I draw and how will they complement each other? Brainstorm the literal elements you can draw in your theme. To ensure the motifs work well together, select ones that are paired together like salt and pepper and rainbows and clouds. 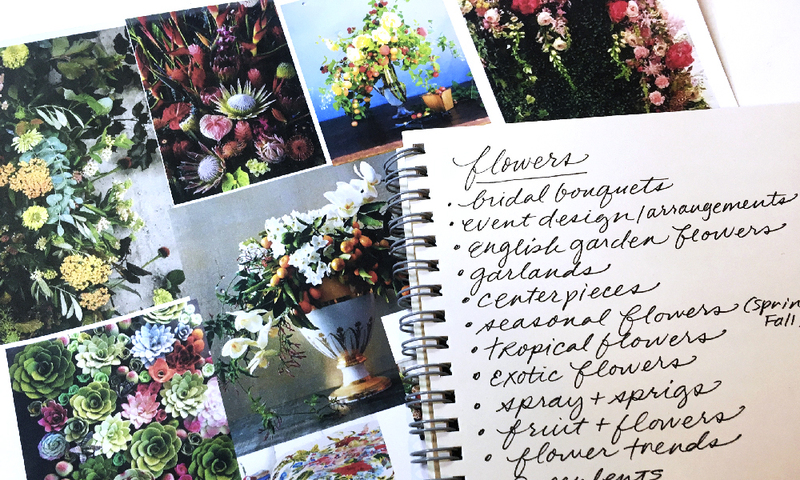 Jeanetta brainstorms motifs before she starts her design process. What is the tone/feeling I want to convey? Is there a story to be told? 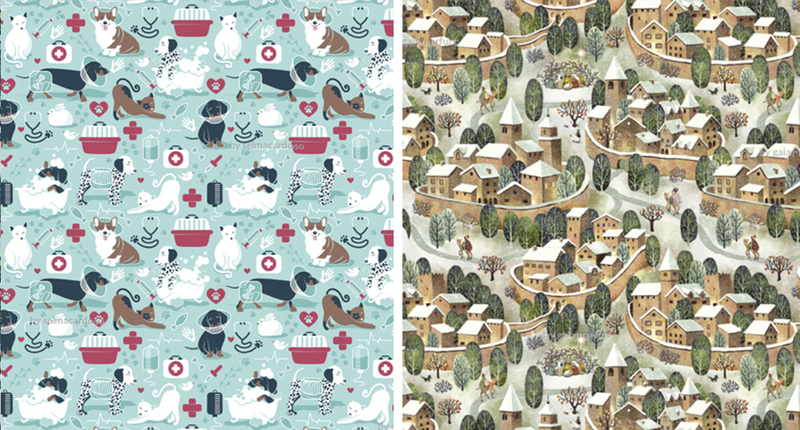 Do you want your pattern to be sweet or sophisticated, wild or calming, silly or nostalgic? Or maybe you want to elicit an emotion by telling a story in your design like adorable dogs getting a bath, showing serene birds flying in formation above trees or creating a sense of adventure with a drawing of a treasure map. How will people be using my design? 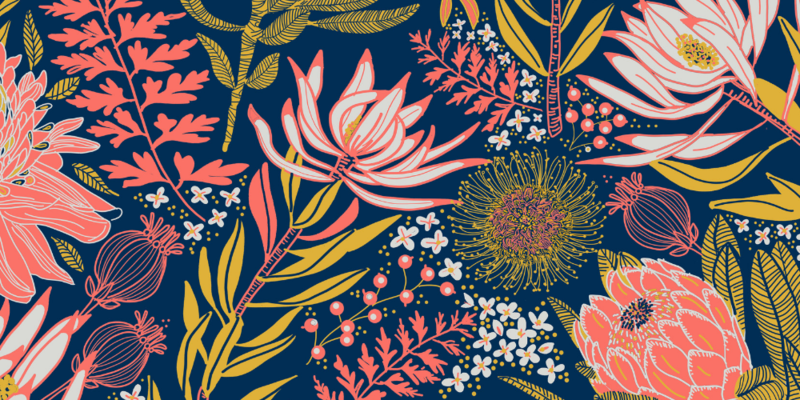 Are you designing for fabric? 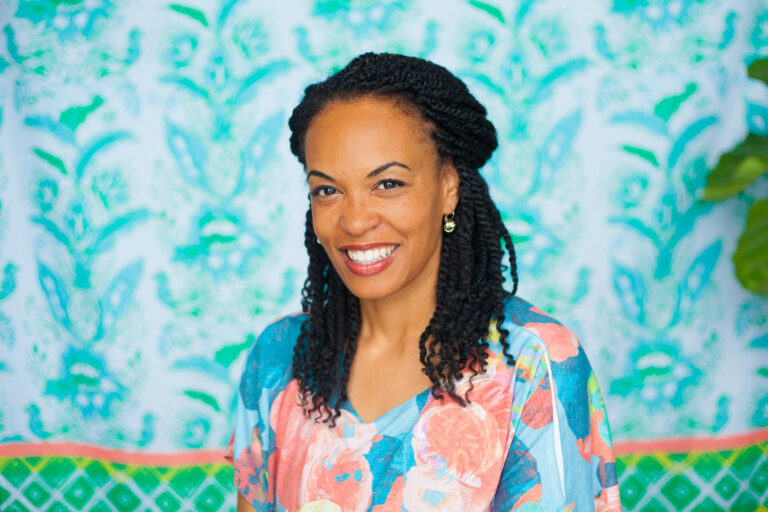 Maybe you’re designing for something like wallpaper, gift wrap or apparel. All of the above? Is it in a sophisticated living room? Designing for a nursery? Imagine what it will look like when completed and how it will be used. 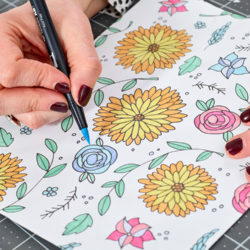 This will help you select colors, decide which motifs to draw and scale the design appropriately. 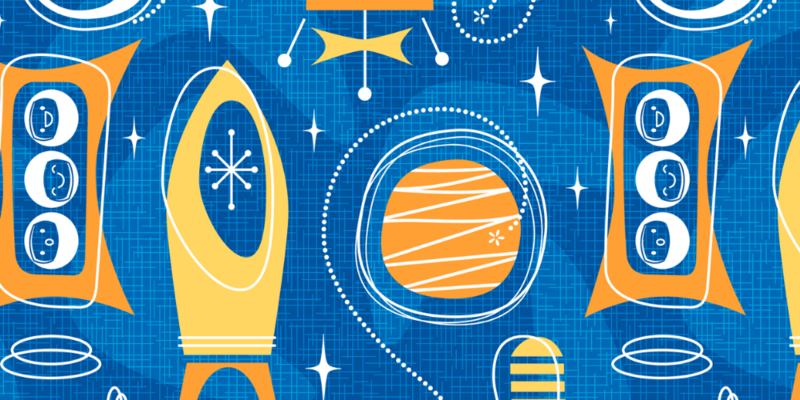 Find even more tips on designing for products. Do you see this design on a hipster kid or would your design be appealing to a plant lady? 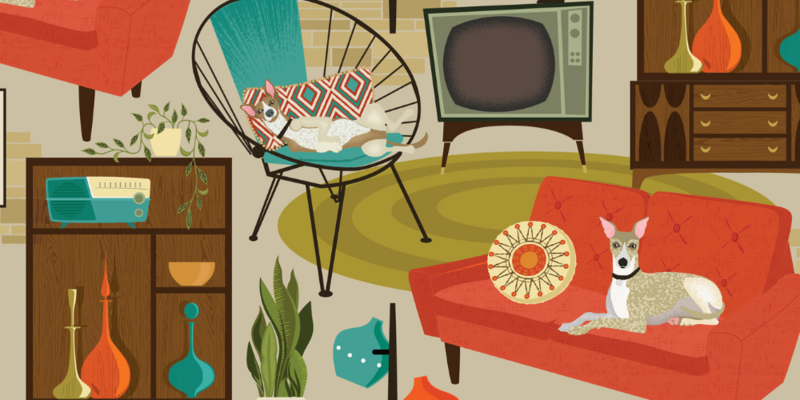 Maybe you’re designing for an animal lover! By considering who you are designing for will help you identify and target your ideal customer. Mood boards help you gain clarity on the style, theme and tone of your design. Collect imagery on the theme you have selected. I recommend gathering them together on a board or multiple boards to help inspire ideas for your design. Pinterest is a great place to create a digital mood board. Once you’ve completed your mood board, it’s time to start working on your design elements, also referred to as motifs! Draw your motifs at different angles. Adding different angles like side views, from the back, top view or front view add depth to your design. Vary the scale of your motifs in your composition. Make some design elements small, some medium and some large. Balance them out by arranging them next to one another in different scales. Making them all the same size creates a dotted pattern with no movement (unless they are placed tightly together). Varying scale gives it visual interest and allows your eye to move around the pattern. Consider how you can add personality to your design. 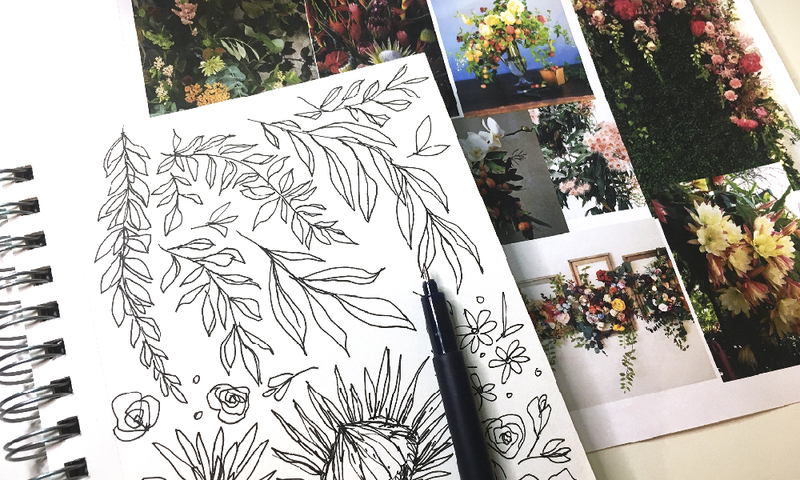 Draw elements that tell a story or hide things for the viewer to find in the pattern, draw people or animals interacting with the motifs, draw scenes or make it funny and quirky. Vary the motifs in style, layout (see below!) and execution in the composition. 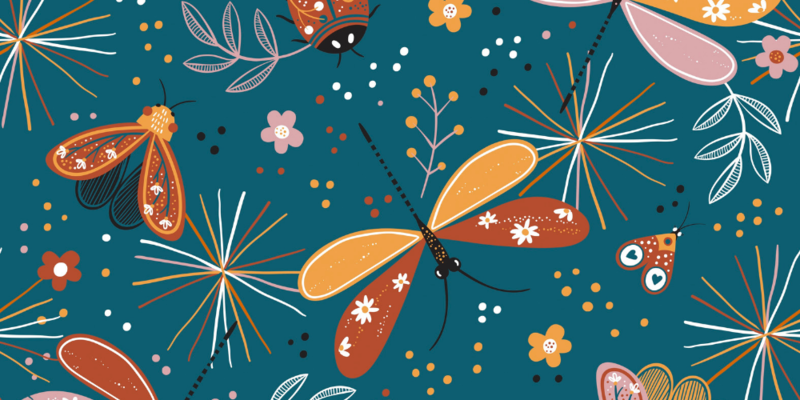 Overlap some elements and separate others, draw some motifs as line art and some as solid colors, draw elements in different mediums, put a pattern in a pattern or add words in the overall pattern. Once you have the motifs drawn, you can arrange them into different pattern layouts. A tossed pattern looks like the motifs are randomly tossed up in the air, but there are variations you can make to the basic toss to improve its composition. Take note of the spacing between your motifs. The tighter the space, the busier the pattern. To make it less busy, make the motifs all the same size or use less colors to refine it. A tossed design with more negative space, also referred to as a loose toss, can be balanced but in some cases too simplified or predictable. To remedy that, consider the motif tips above to add visual interest: storytelling, varying the motif sizes and adding personality. You can also fill in the negative spaces with smaller elements or line art. If there is too much negative space, add a tonal pattern to the background to add depth. Looking to create a horizontal or vertical layout? Arrange your elements in a striped layout. This is a great alternative to creating a striped pattern with solid colors. You can also create border patterns and align them next to one another vertically or horizontally. 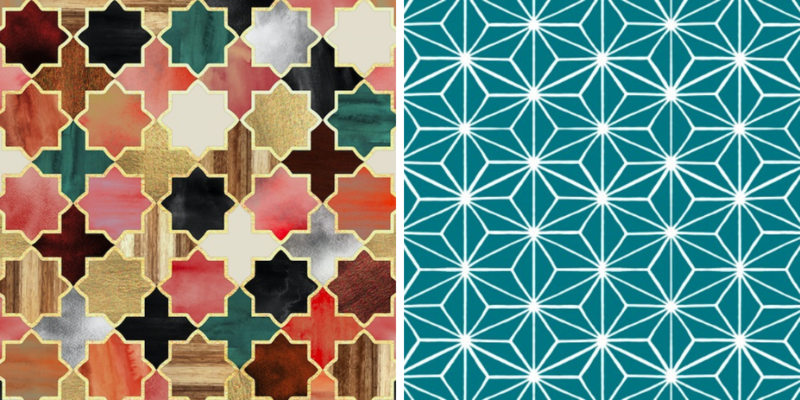 Make your patterns more intricate by creating tessellated patterns where the lines or elements overlap and interlock. This is seen commonly in tile patterns and geometric patterns. Because of their complexity, tessellated patterns work well in a more simplified color palette. 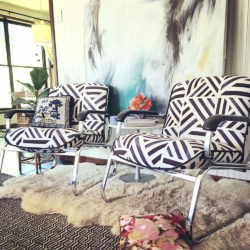 The colors you choose in your patterns communicate the tone, theme and the overall vibe. 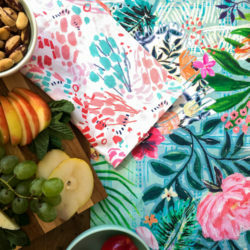 Do you want your pattern to feel bold with bright pops of color, or are you aiming for a more moody feel with deeper, darker, lush colors? Maybe you’re trying to create a trendy, youthful pattern. 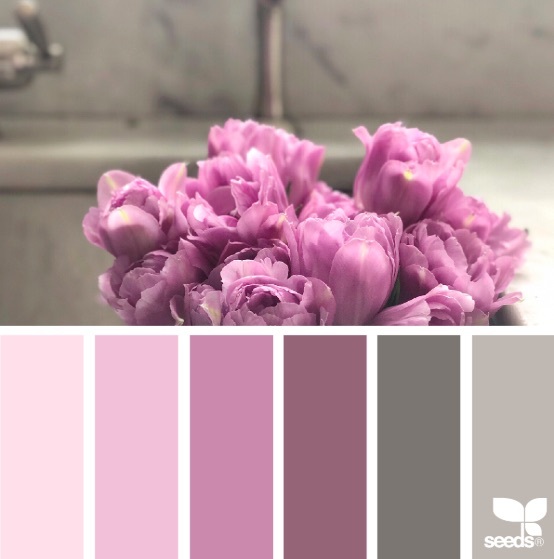 Select four to six colors that convey your theme and tone best. As you are working, determine the best background color and assign analogous colors (colors that are next to each other on the color wheel) to the motifs. It is ok if you realize your colors aren’t working as you hoped they would. Make adjustments early on and try a few alternate colors to see which direction works best. 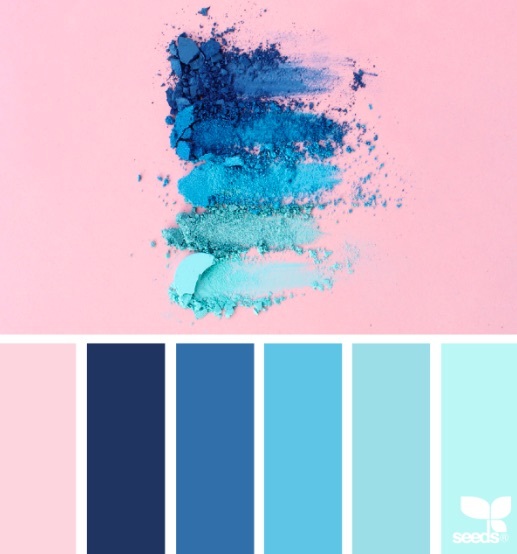 After recoloring, you just might create a stronger palette than you originally imagined! A limited color palette creates a sophisticated look. Try working with less colors if you would like to simplify or change the vibe of your design. Having trouble determining the right colors? Use the eyedrop tool in your design program to pull colors from the images in your moodboard. 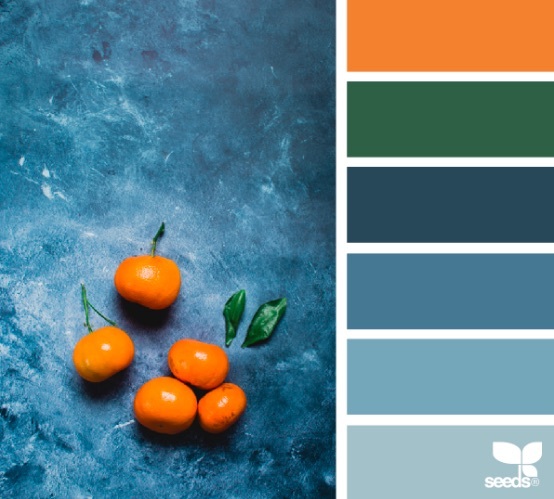 Your board will help inform common colors used in the theme for your design’s color palette. Also consider using colors from nature or find color palettes on the internet. Design-Seeds is a great place to start! 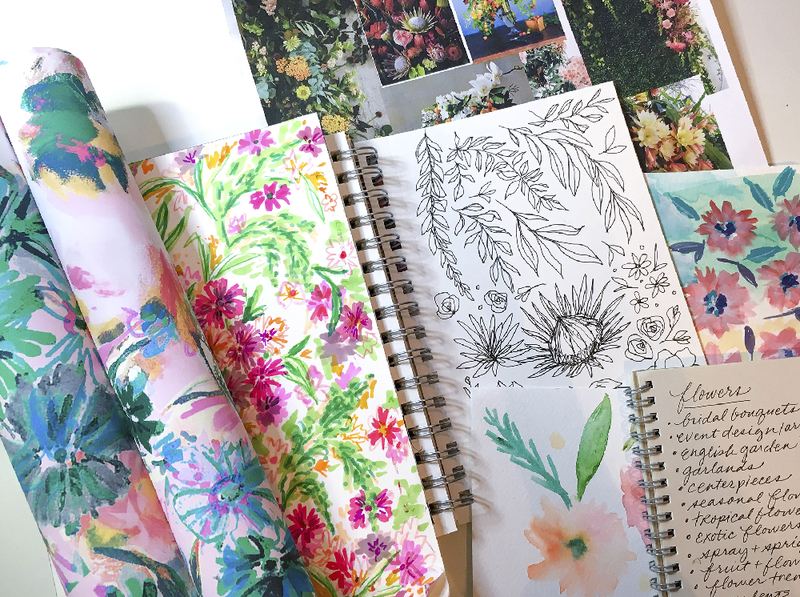 Using these tips and keeping them in mind when creating your patterns will help you develop a comprehensive process and fun, new pattern-making solutions. 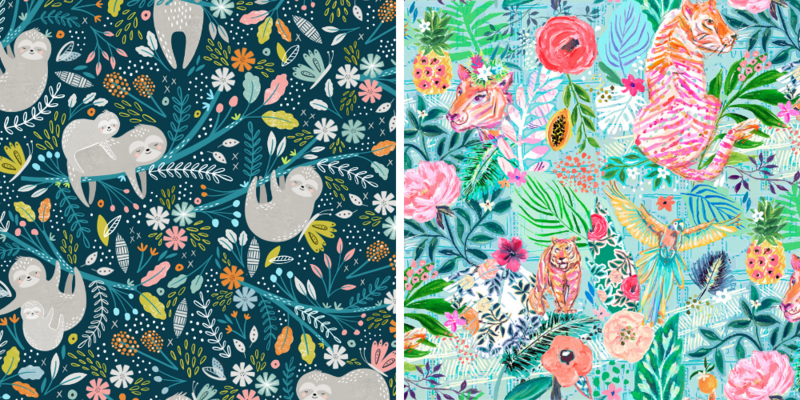 Before you know it, you’ll be ready to enter your design into an upcoming Spoonflower Design Challenge!